Our deepest condolences to the family of Deputy Robert Kunze III. Please join me in thanking our first responders and their families for their selfless dedication to service to our community. Thank you to everyone who assisted in paying our respect to a hero. We held a workshop with all the different fire departments and interested parties to explore fire service options. More meetings are scheduled in the near future. We are exploring all options and scenarios to be sure that, if we take any action on this issue, it is the right course of action for the whole county. The zoo hosted another great Zoobilee event. 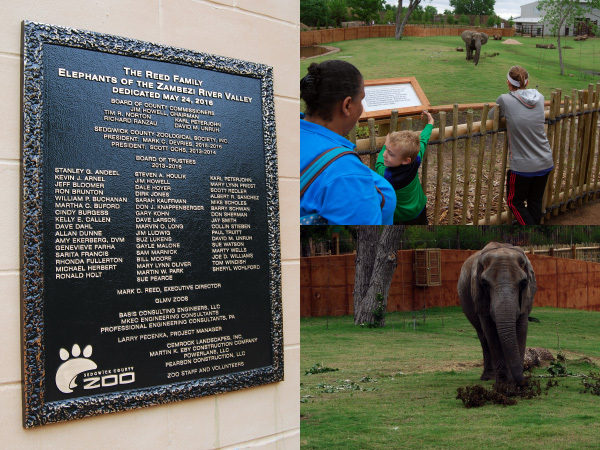 It is the premiere event for the zoo each year and was very well attended. The staff and Zoo Board are commended on hosting such a great and successful event. Speaking of the zoo, our new director and the Zoo Board have been working over the past six or seven months on a new strategic plan and master plan. A press conference will be held in the near future to provide the public insight into what is planned for the next 25 years. Thank you McConnell AFB for a great air show! We are proud that you are part of Sedgwick County and honored by your service to our country. I cannot say enough about the fantastic air show the base put on for our community. Thank you. Commissioner Unruh and I sat in on a business round table discussion with community leaders and Congressman Estes to discuss workforce training with Mr. Scott Stump, Education Assistant Secretary for Career and Technical Education with the U.S. Department of Education. WSU Tech hosted the round table. Each of the commissioners had the opportunity to meet with Mrs. Denise Sherman, the newly appointed Director of The Kansas African American Museum. 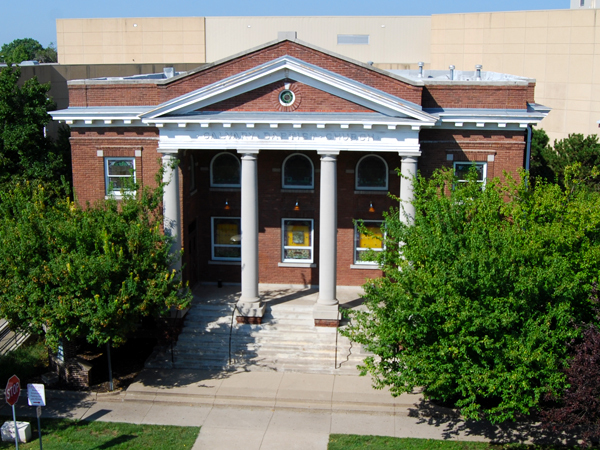 Sedgwick County is a large financial supporter and we provide the building to house the museum. We look forward to working with Mrs. Sherman as we continue our long-standing relationship. 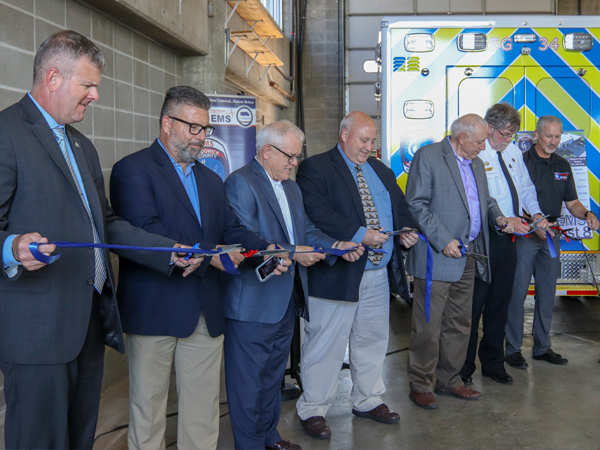 We held a ribbon-cutting ceremony in Commissioner Ranzau’s district for the remodeled EMS Post 8. 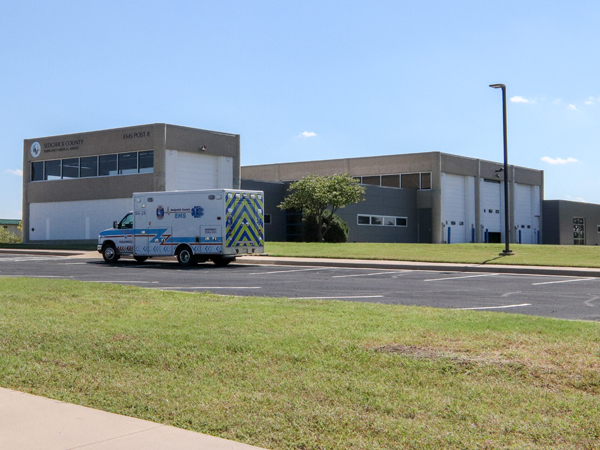 The remodel saved the county approximately $1.5 million versus building a new facility. The remodeled facility looks great and will serve the citizens well in the future. Click here to view the video. I participated in the Chili Cook-off in downtown Wichita. Our booth served 30 gallons of chili. We were honored to partner with The Kitchen, which made the chili we served. About a month ago, a large Oak tree was removed from the courthouse lawn. We were able to save a large portion of the base of the tree. We then took that base to a sawmill and had it milled into boards that, when dry, will be used to construct a new table for the Board of County Commissioners board room. A part of our past will be retained to serve us into the future. Mark your calendars for Saturday, November 10 for the annual Veteran’s Day Parade in downtown Wichita. This year’s parade will honor those who served in Viet Nam. Please join us for the parade and thanking our veterans for their service. Finally, the USS Wichita will be commissioned soon. Tentative date is January 12 in Florida. 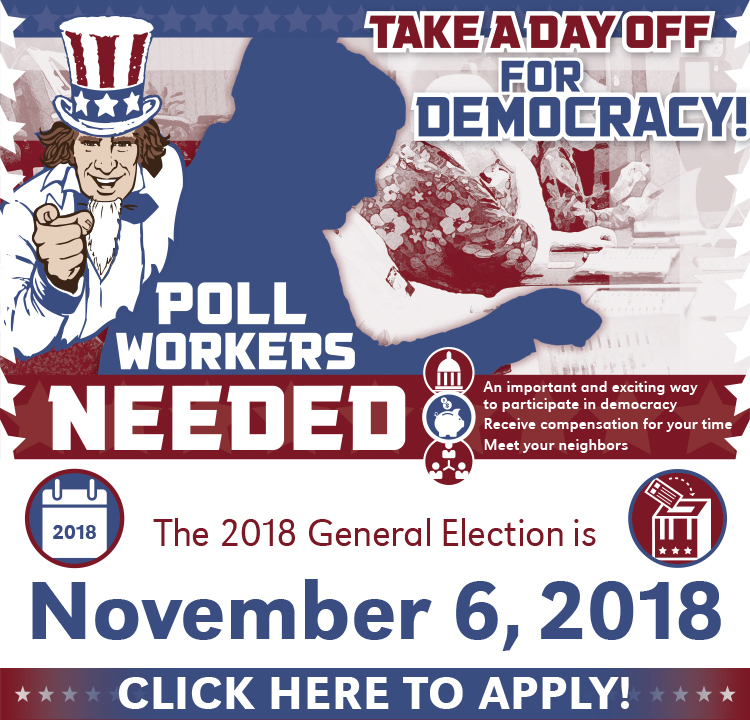 If you wish to contribute to the ship, please visit www.USSWichita.org . As always, it is an honor to serve the citizens in Sedgwick County. Do not hesitate to contact me if you have questions. After watching the destruction from Hurricane Florence, it is fitting that September is National Preparedness Month. Sedgwick County Emergency Management recommends following some basic steps to ensure that you, your family, and your pets survive in the event of a disaster. Make a Plan - Involve your family members in developing a plan, then remember to post the plan somewhere everyone can see the details. Discuss the dangers of fire, severe weather, hazardous materials spills, floods and other emergencies. Talk about the ways in which you will respond to each situation. Identify two ways out of each room in your home. Talk about where your family will meet if you have to evacuate. Teach children how and when to call 9-1-1. 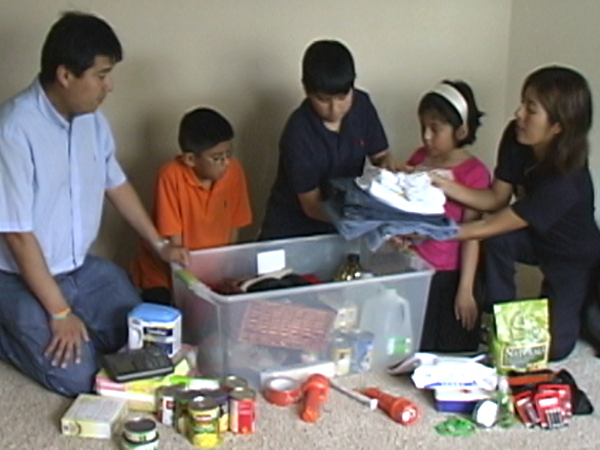 Build a Disaster Kit – This kit should include a three day supply of food and water for every family member, a complete change of clothes and footwear for each person, battery operated/ non-electronic tools and supplies, and a first aid kit. Include copies of your important documents like birth certificates, social security cards, and insurance information. Don’t forget about your pets and their needs! Stay Informed – In emergency situations such as severe weather, flooding, and other disasters, Sedgwick County Emergency Management will be able to report information and developments to the Emergency Operations Center (EOC). This information will be posted to the Emergency Log. NOAA Weather Radio, local television and radio stations, and social media are other methods to help you stay informed. 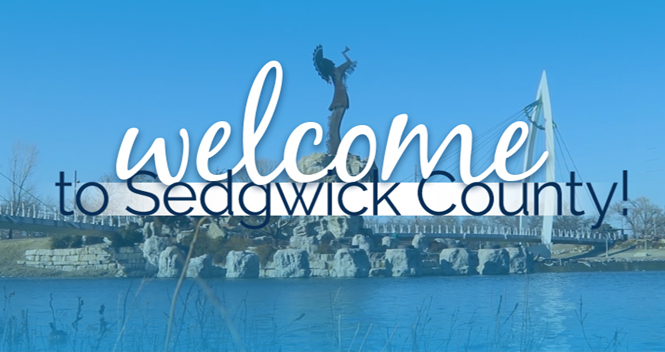 Be sure to like and follow Sedgwick County to get up to date information about local government and emergencies in our area! More details about emergency preparedness can be found on our website. This year staff at the Regional Forensic Science Center celebrated National Forensic Science Week with various activities. 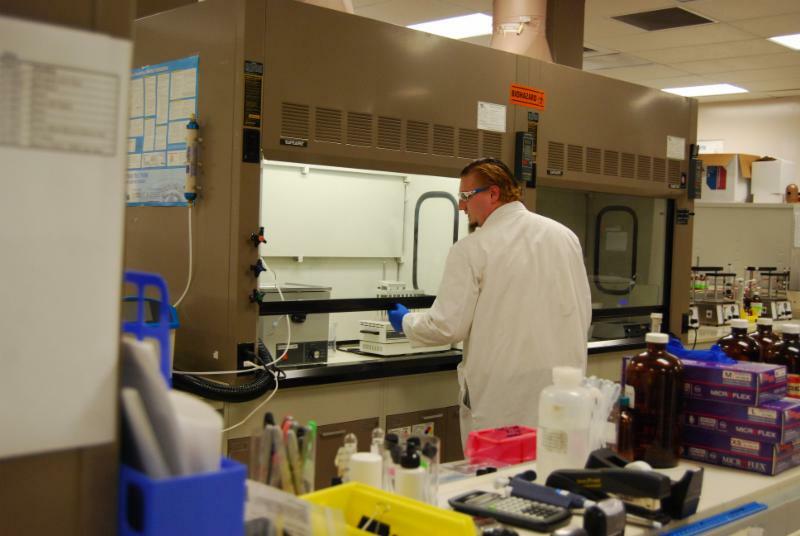 Forensic Science Week recognizes the critical role forensic science plays in public outreach, crime prevention, and the overall criminal justice system. This type of analysis dramatically improves the investigation of criminal activity leading to the exoneration of the innocent and the prosecution of the guilty. Crime scene investigators, forensic examiners, forensic scientists, and technicians provide unbiased, accurate, and reliable analyses of evidence for a number of different area law enforcement agencies. 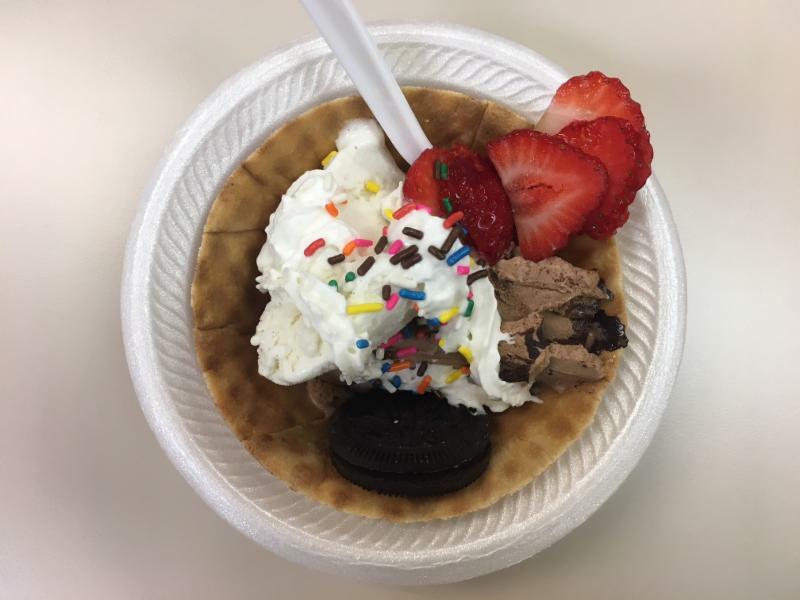 Photos below show employees representing Sedgwick County at a career fair at Johnson County’s Crime Lab, staff enjoying an ice cream social, and conducting their research. Forensic Science Week was Sept. 16 to 22, 2018. 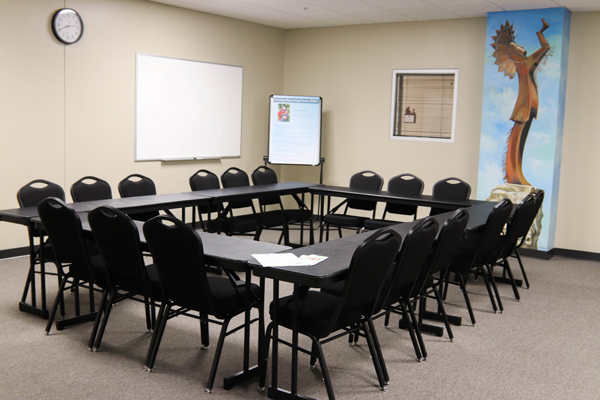 The Evening Reporting Center (ERC) at Juvenile Field Services is funded through Reinvestment and Regional Grants provided by the State of Kansas Department of Corrections - Juvenile Services. The ERC offers effective community-based options to youth who were formerly sent to out-of-home placements for programming. The Regional Grant partners are Butler, Cowley, Elk, Greenwood, Harvey, McPherson, and Sumner counties. Programming began on May 1st, 2018 and has served 121 youth. Currently, the ERC serves approximately 30-35 youth per day, Tuesday thru Friday after school and evenings. On Saturdays youth work on community service projects with an average attendance of 10-15 youth. Youth have provided 296.5 hours of supervised community service work at various community parks and venues throughout Sedgwick County. Programming includes groups that address anger management, trauma, job skills, inpatient substance treatment, girl empowerment, multi-systemic therapy, decision-making, moral reconation therapy, independent living training and parenting education. At this time, the ERC has successfully graduated 15 youth. 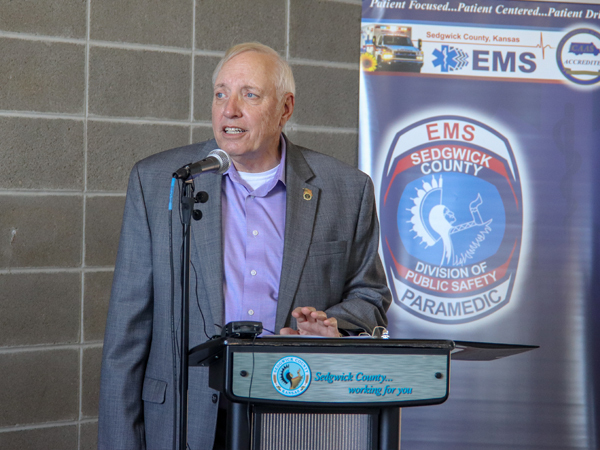 Sedgwick County EMS reopened EMS Post 8 at 501 E. 53 rd St. North in Park City on Sept. 20. It originally came into service in 1991 as a combined Sedgwick County Fire Station and EMS Post. 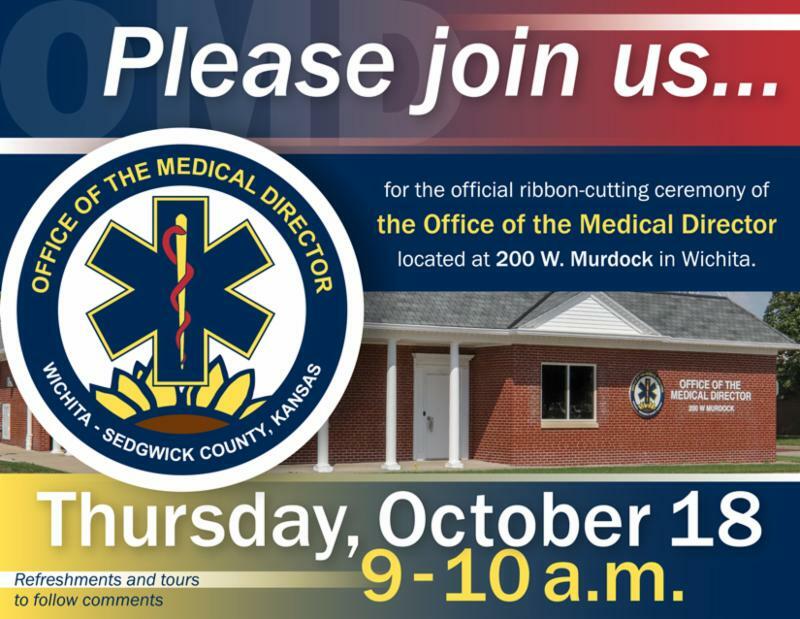 Sedgwick County Fire District 1 vacated their portion of the building in 2008 when Fire Station 32 was completed. The repair project consisted of exterior and interior work including a new roof, window repairs, painting, and correcting drainage. Interior remodel work was done to service and deploy EMS apparatuses; in the future it will house a four person crew. 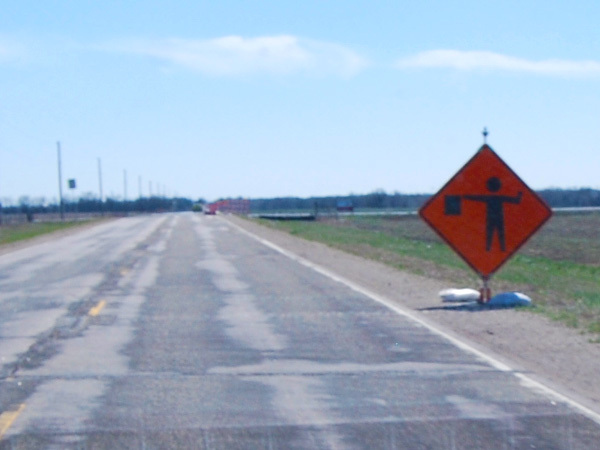 There were also ADA upgrades installed as part of the County’s ADA transition plan. 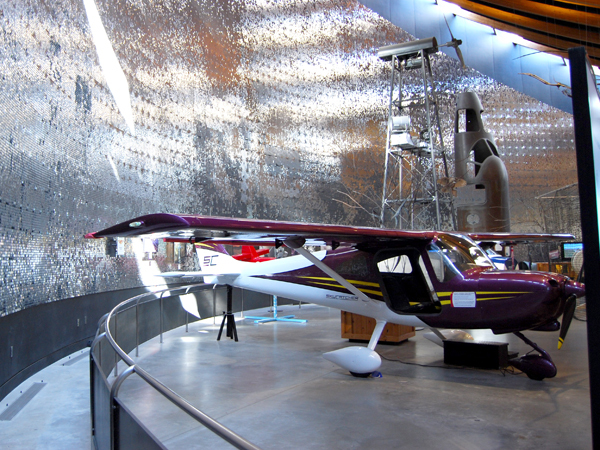 Hanney and Associates were selected as the architect for the project. The remodel began on May 7, 2018 and Compton Construction Services, LLC completed all contract work on August 25, 2018. The project’s budget was $427,219. 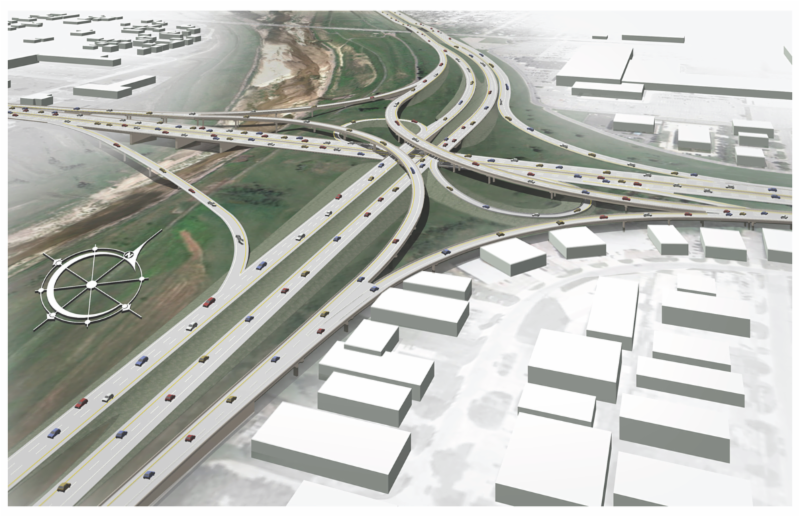 A full closure of the interior lanes of the interchange is planned for a weekend in early October to replace the bridge approaches over the Wichita – Valley Center Floodway, eastbound and westbound US 54 bridges, plus remove bridge construction forms over US 54 and I-235 lanes of traffic. A few long-time County employees were recognized for their dedication and service to the organization recently. County Appraiser Mike Borchard retired on Sept. 1 after 30 years of service to the organization. 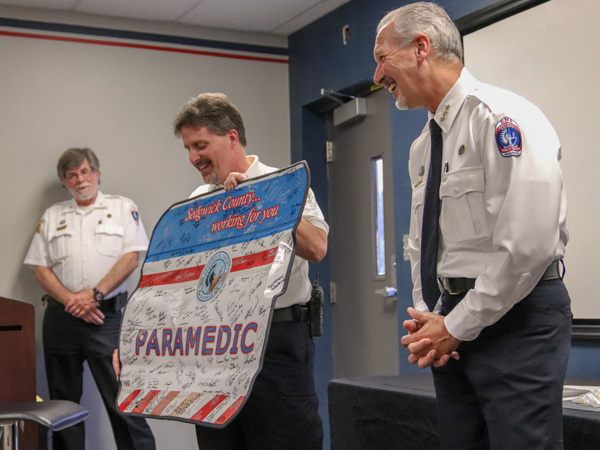 Scott Hadley, EMS Director, retired on Sept. 17 after 29 years with Sedgwick County EMS as well. 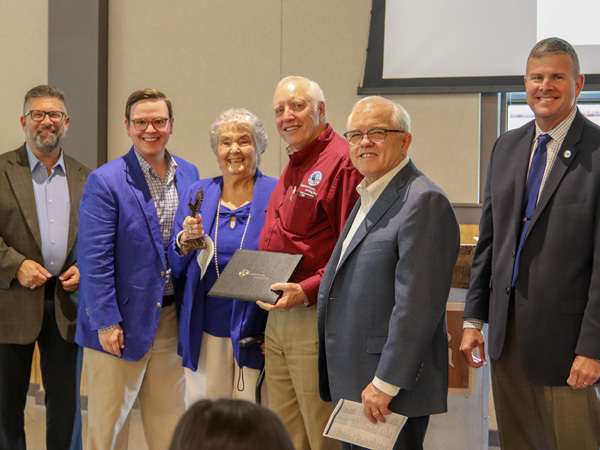 Eula West, the County’s Public Relation and Information Clerk, was recognized for her 49 years of service. Interim assignments for the Appraiser and EMS Director have been announced. Mark Clark and Dennis Mauk will fill those roles. 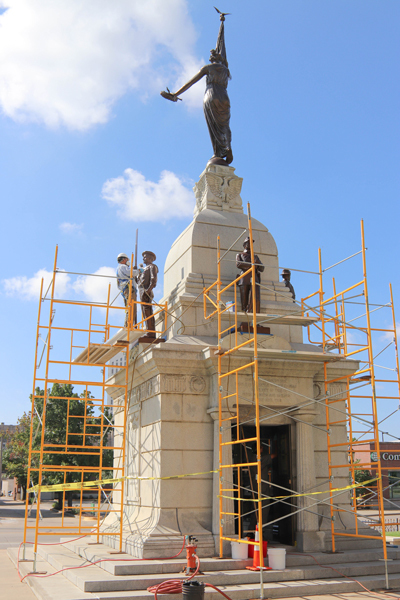 Did you notice the scaffolding around the Sedgwick County Soldiers and Sailors Civil War Monument recently? 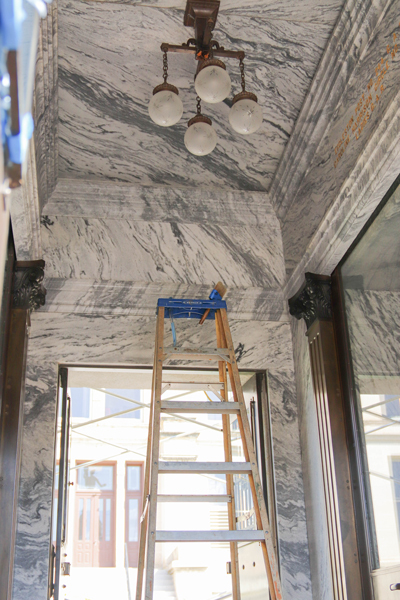 It receives a very careful and thoughtful restoration every year by experts trained to keep such historic monuments protected from age and elements. In 2016 the Liberty statue was repaired and placed back atop the monument after being removed in 2013 due to a crack in its base. The monument was built in 1913 in memory of the Union Soldiers and Sailors of the Civil War. 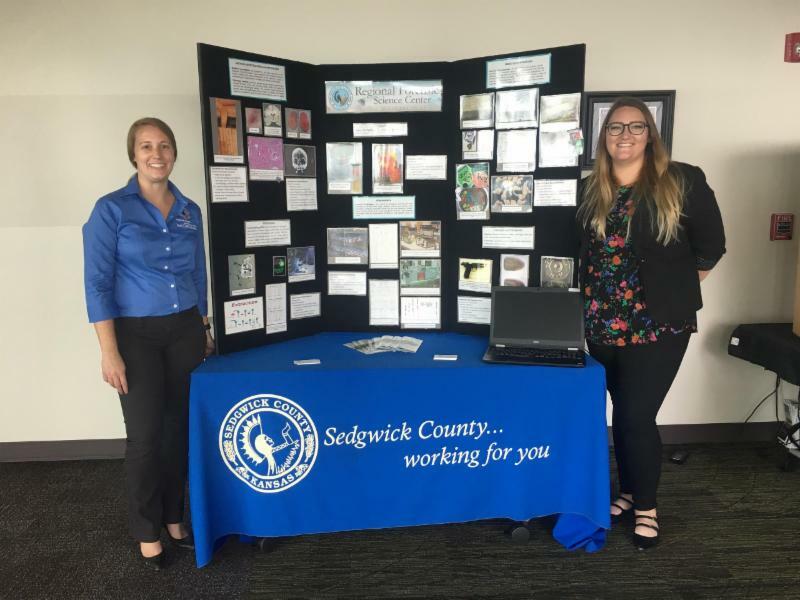 On Wednesday, Sept. 12, the Sedgwick County Suicide Prevention Coalition shared its 2017 annual report with the Board of Sedgwick County Commissioners. The report stated that in 2017, there were 96 deaths by suicide in Sedgwick County, 60 percent of deaths had a known history of mental illness, and 23 percent of deaths were veterans. National Suicide Prevention Week was celebrated Sept. 9 to 15, 2018. Coalition members spent Monday, Sept. 10, handing out information about suicide prevention at various community locations. In the United States, one person dies by suicide every 12 minutes; in Sedgwick County, someone dies by suicide every four days. The Sedgwick County Suicide Prevention Hotline is available 24/7 at 316-660-7500. 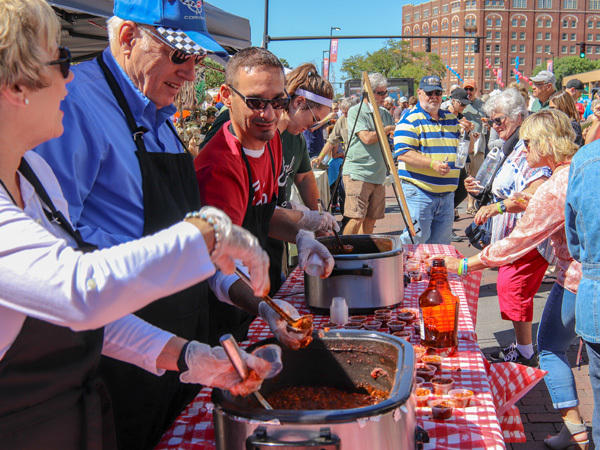 This year Sedgwick County partnered with The Kitchen for the 2018 Wagonmasters Downtown Chili Cook-Off. Staffed dished out the restaurant’s new chili to event-goers on Saturday, Sept. 22. Sedgwick County is pleased to announce the selection of Van Williams as Director of Strategic Communications. 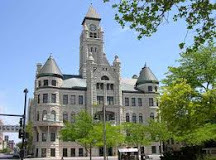 His first day with Sedgwick County was Monday, Sept. 24. 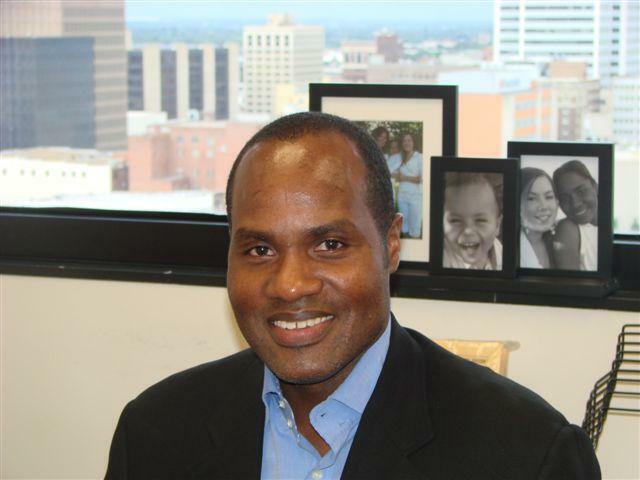 Williams joins the organization with decades of governmental communications and journalism experience, most recently serving as Public Information Officer for the City of Wichita. He is a graduate of Wichita State University, earning a bachelor’s degree in journalism and a master’s degree in Public Administration. Williams is a noted community leader as well, founding Real Men Real Heroes and River City Hoops.